As highlighted in a previous article here, a notable number of REBSEA members are committed activists in their communities for animal welfare and animal rights. In fact REBSEA was created by over 100 Realtors who have been donating to non-profits for quite some time and many of them have been directing their donations specifically to animal welfare organizations. Their Charter Member program is attracting other Realtors who will be donating to non-profits as well and a sizable number of them are also focused on animal welfare as the cause that they are passionate about. 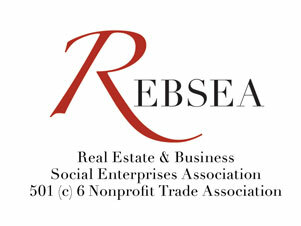 As of now there are about 250 Realtors comprising the REBSEA network with new members joining each and every day. What does this tell us about the REBSEA community and, more broadly, about American life as it is developing today? For one, we are always finding innovative ways to deal with problems that persist. Several REBSEA members have created innovative programs in their communities to improve the welfare of animals. What is most encouraging is the fact that a program such as the one founded by Brenda Breit of Scottsdale, Az. is now being considered by several other REBSEA members who are determined to create the same program in their community. Brenda founded an organization that has rescued over 2200 animals left behind to starve in foreclosed properties. Imagine if the REBSEA network, with so many members committed to animal welfare, can spread the word and share the information necessary to build a program like this in many other communities? Every community should have a program like this. As Realtors they are in a position to help make this a reality. And there are many other ways that Realtors can help to improve the welfare and quality of life of animals. REBSEA intends to help find the way to implement many programs that have been successful across the U.S. and Canada. Of course, Realtors are keenly aware of the importance of companion animals in the lives of their clients, not to mention, I have no doubt, in their own lives. But moving beyond our own loved cats and dogs (I have two kitties who are profoundly precious to me), we are learning so much more about animals these daysundefinedabout their emotional lives, intellectual capacities, and behaviorsundefinedas well as about how we interact with them and the relationships among different species. We need not be surprised by this. Not only are we opening our hearts and our researchers’ eyes to the realities of other creatures’ lives; but if humans are evolvingundefinedand one hopes that we are!undefinedthen doesn’t it also stand to reason that other species are also evolving in their own forms of consciousness and capacities and behaviors? And as anybody knows who is on as many animal-related list-serves as I’m on, a great deal is happening as well at the inter-species level. Think, for example, of the story of the South African elephants who traveled long distances and assembled for twelve hours to honor the life and mourn the death of Lawrence Anthony, the conservationist who had saved their lives (seeElephants mourn Death . Or of dog mothers that nurse orphaned kittens or bunnies (or vice versa). Or the celebrated story of the 130-year-old giant tortoise, Mzee, who adopted Owen, a baby hippopotamus swept ashore in Kenya by the massive Indian Ocean Tsunami of 2004 (see Hippo and Tortoise. Stories like these abound and never fail to inspire and not infrequently, if you’re like me, move us to tears. So what is this about? Why do our relationships with other creatures touch us so profoundly and draw out our own higher natures? The celebrated Scottish-American naturalist and author John Muir, during a thousand-mile hike to the Gulf of Mexico, wrote about animals he encountered as "beautiful in the eyes of God ... part of God's family, unfallen, undepraved, and cared for with the same species of tenderness as is bestowed on angels in heaven or saints on earth." Two other leading thinkers have written about the need for us to enlarge our circle of compassion as essential to our own progress and finding peace. Albert Einstein described the human tendency to experience ourselves, our “thoughts and feelings, as something separated from the rest, a kind of optical delusion of … consciousness.” He saw this delusion as “a kind of prison for us, restricting us to our personal desires and to affection for a few persons nearest to us.” We can free ourselves from this prison by “widening our circle of compassion to embrace all living creatures and the whole of nature in all its beauty.” And, “the striving for such achievement is in itself part of the liberation and a foundation for inner security.” There’s a lot going on in this quote by Einstein! I see the protection of other creatures as the ultimate rights movement. It is a call for us to be the voice of the voiceless. Again, we’re learning so much these days about the “personhood” of other creatures. Two major developments happened in what may be a game-changing week for animal protection last December (2013). The lead convening organization was the Institute for Ethics and Emerging Technology (IEET), headed by James Hughes, and its Nonhuman Rights Project (see Nonhuman Rights). And so, the three cases were filed in three lower courts in New York in early December, with every expectation that they would be thrown that same month for lack of law or legal precedent. And so they were. Wise's plan is to appeal them up to the New York Supreme Court. What was remarkable, though, was that two of the three lower court judges, in immediately rejecting the filings, expressed their sympathy for the argument. One judge quoted in the article (linked above), said "What a great argument. You lose!" What the article doesn't recount, though, is that judge also said in so many words (not a direct quote), "I wish you well. I love animals." A second judge also expressed sympathy for the case though not quite as personally. And so, we are hopefully on what will surely be a long legal and legislative path of protecting other creatures from the types of abuse they receive by the billions in the United States (an estimated ten billion a year) in research labs, on factory farms, in circuses and other forms of “entertainment,” and through other cruel and abusive practices. [T]herein we err, and greatly err. For the animal shall not be measured by man. In a world older and more complete than ours they move finished and complete, gifted with extensions of the senses we have lost or never attained, living by voices we shall never hear. They are not brethren, they are not underlings, they are other nations, caught with ourselves in the net of life and time, fellow prisoners of the splendor and travail of the earth. Let me close by extending warm appreciation to those realtors reading this who are undefined or will be undefined engaged at the leading edge of “inter-national” (meaning “inter-species”) peacemaking, newly defined, right in your own neighborhoods and communities!